TORONTO and LONDON, January 14, 2019. 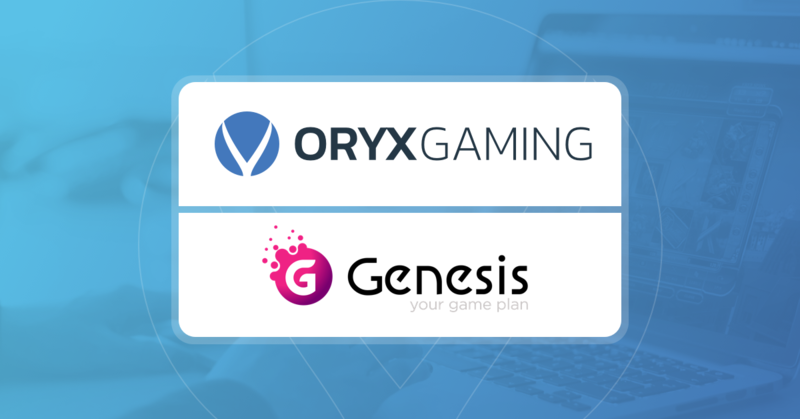 ORYX Gaming, a Bragg Gaming Group company (TSXV:BRAG) has started 2019 with a bang by launching its content on 7 of Genesis Global’s top entertainment brands. These include Casino Cruise, SpinIt, Sloty, Vegas Hero, Genesis Casino, Casino Joy, and Spela. Genesis Global launched in 2014 to create an extraordinary personalised player experience and is a company incorporated in Malta which holds licences in Malta, UK and Sweden. ORYX’s hugely popular library of casino games have gone live across the wide selection of Genesis Global brands. In addition to ORYX’s world-renowned proprietary titles, the Genesis Global brands gain access to several top-performing casino titles from GivMe Games, Kalamba Games and Gamomat. The recently launched Crazy Chicken Shooter jackpot side game will be part of the deal. Gamomat labs’ latest creation is a fresh and exciting action-packed adventure based on the highly popular computer game from the early 2000s. ORYX Gaming was recently acquired by Bragg Gaming Group, a next generation gaming group that focuses on the newly emerging area of legalized U.S. sports betting and the burgeoning e-sports industry.